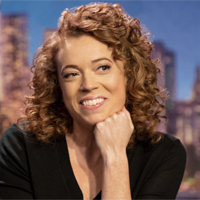 Wolf tells GQ she pretty much knew her new talk show The Break was doomed from the start. “There’s so much on Netflix right now that it’s like it’s almost become a tomb,” says Wolf. When she told Netflix the show was too hard to find, she says, “they were like, ‘What’s your e-mail? We’ll just make sure it shows up.’ And I was like, ‘No! That’s not what I want! I can’t give you a million e-mails!’" But knowing that her show wasn't likely to survive freed her up to do her best work. “That’s when we really tapped in to be like, ‘We’re not gonna do what (Netflix) wants us to do," she says. "We’re gonna do the show that we want, and we’re gonna make it silly and fun.” Wolf adds: "I mean, our episode order was for 10 episodes. I just always knew 10 wasn’t going to be enough. You know they were either gonna see it and immediately be like, “We wanna invest in this—we’ll give you 30 more,” or they were just gonna let it play out. And they let it play out. At Seth Meyers, it took us a year and a half to two years to kind of figure it out. When Trevor took over The Daily Show, it took at least two years to figure that one out. The original Daily Show with Jon Stewart, it took him at least a year and a half." Wolf was also asked about Louis CK, her mentor, and whether he should perform at comedy clubs. Last month, Wolf's name was spotted on the same Comedy Cellar bill as Louis CK. "I think it’s for the audience to decide," she says. "I mean, if he’s gonna do shows and people wanna pay to see him, people wanna pay to see him. I have no control whether he goes up onstage or not."